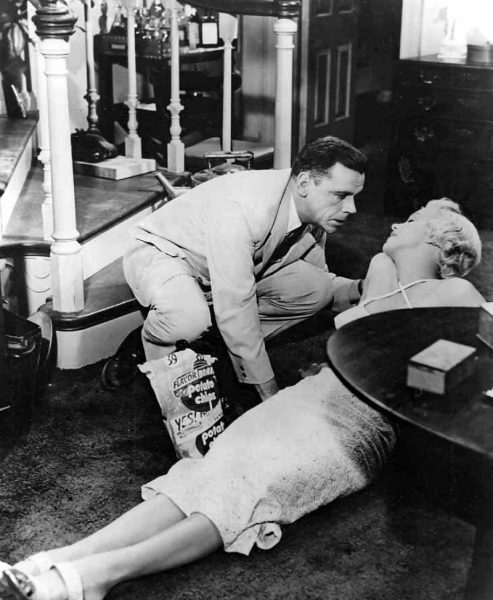 Stock up on potato chips and champagne – The Seven Year Itch is coming to US streaming service Hulu on April 1st, Collider reports. Was 1955 Hollywood’s Greatest Year? As another year draws to a close, the Washington Post‘s critics are debuting what was the greatest year for movies. 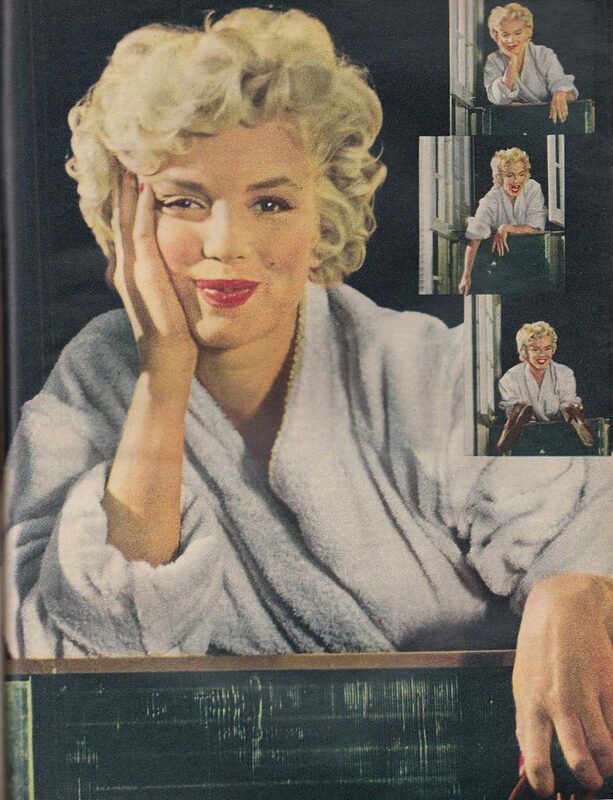 For Scott Tobias, it’s 1955: and while he doesn’t mention The Seven Year Itch, it was one of the year’s biggest hits – and a shining example of the Cinemascope era. Britain’s greatest arthouse filmmaker, Nicolas Roeg, has died aged 90. Born in London in 1928, he began his career in 1947 as a humble tea-boy at Marylebone Studios. By the 1960s, he was cinematographer for Lawrence of Arabia, Fahrenheit 451 and Far From the Madding Crowd. In 1970, Roeg made his directorial debut with Performance, which starred Mick Jagger and has become a cult classic. Roeg followed it with Walkabout, Don’t Look Now, The Man Who Fell to Earth (starring David Bowie), Bad Timing, Eureka, Castaway, Track 29, The Witches, and Cold Heaven. His final film was released in 2007. 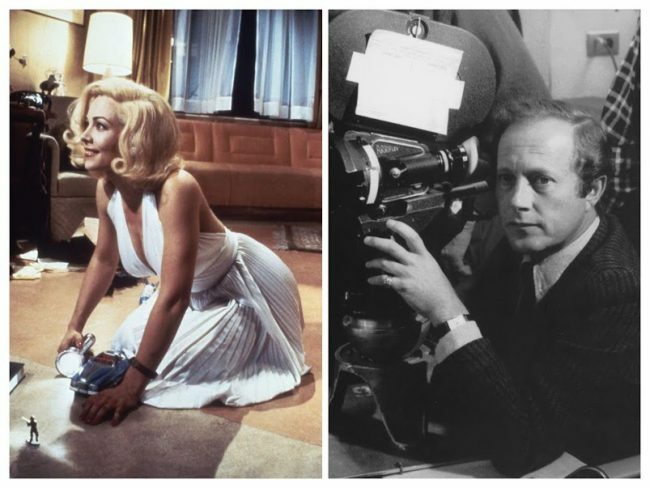 Roeg is also known to Monroe fans for Insignificance, the surreal comic fantasy based on Terry Johnson’s play, and starring Roeg’s then-wife, Theresa Russell, as ‘The Actress’, a character based on Marilyn. 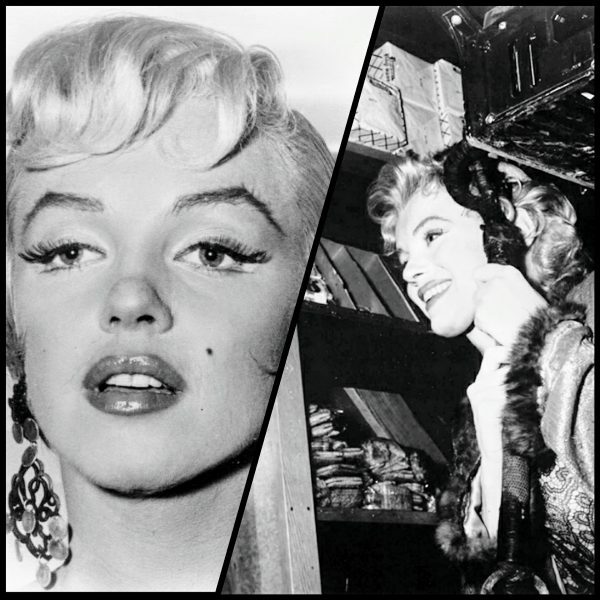 It is one of the more successful films to feature Marilyn as a character. 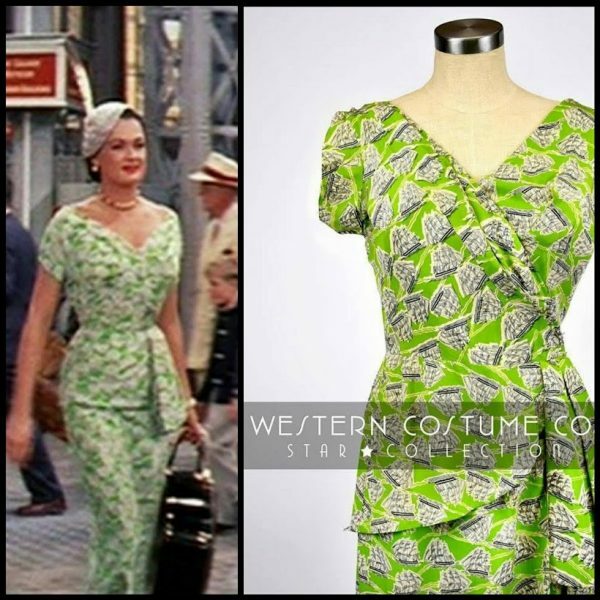 The story is set on the fateful night in September 1954 when Marilyn filmed her famous ‘skirt-blowing scene’ on a New York subway grate. 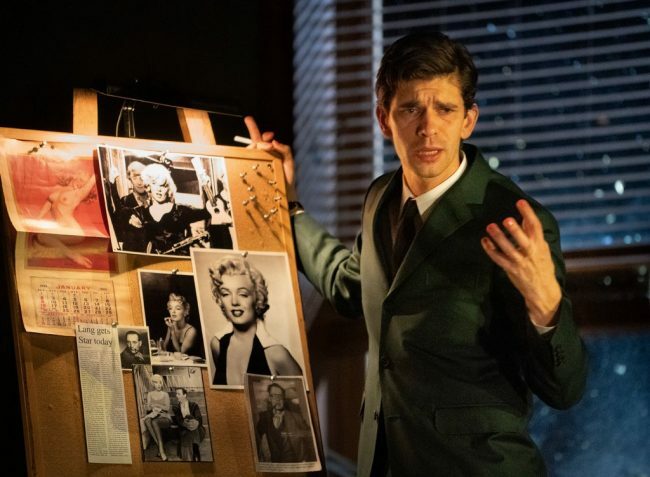 Other characters included ‘The Professor’ (Albert Einstein), ‘The Ballplayer’ (Marilyn’s soon-to-be ex-husband Joe DiMaggio, played by Gary Busey.) In an ironic twist, ‘The Senator’, based on Joseph McCarthy, was played by Tony Curtis, Marilyn’s co-star in Some Like It Hot. 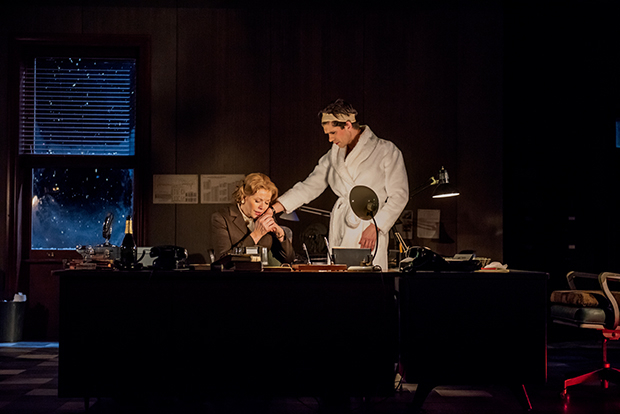 “Insignificance pointedly doesn’t sort out the differences between fact and fancy; it’s more interested in playfully turning all four of its celebrities into metaphysicians of one kind or another … All this sport, to be sure, has specifically English inflections. These crazed American icons are being viewed from an amused and bemused distance, and much of the talk qualifies as fancy mimicry. 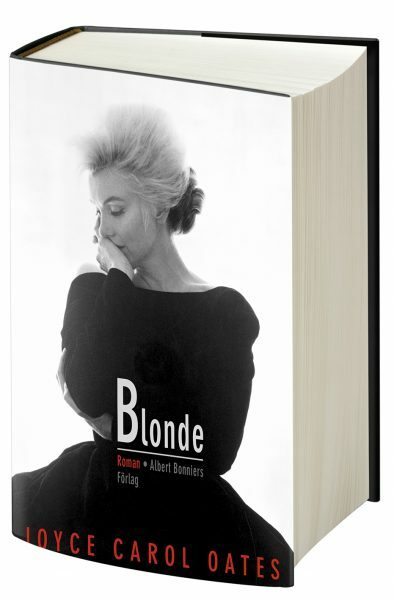 ‘I didn’t write Insignificance because I was interested in Marilyn Monroe,’ [Terry] Johnson avowed in a 1985 interview with Richard Combs for the Monthly Film Bulletin (August 1985). 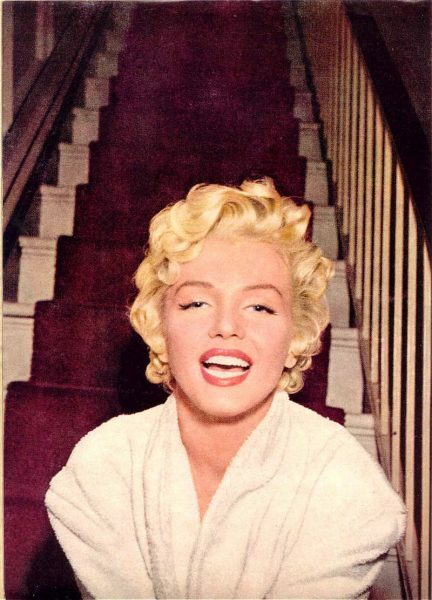 This film occasioned an extensive rewrite and expansion of the original by Johnson, but even then he couldn’t be sure whether or not he’d ever seen The Seven Year Itch … One perk of his lack of interest in Monroe is complicating and confounding the popular notion of her as a dumb blonde — a stereotype that she’d helped to create herself — in order to shape and justify his outlandish plot. 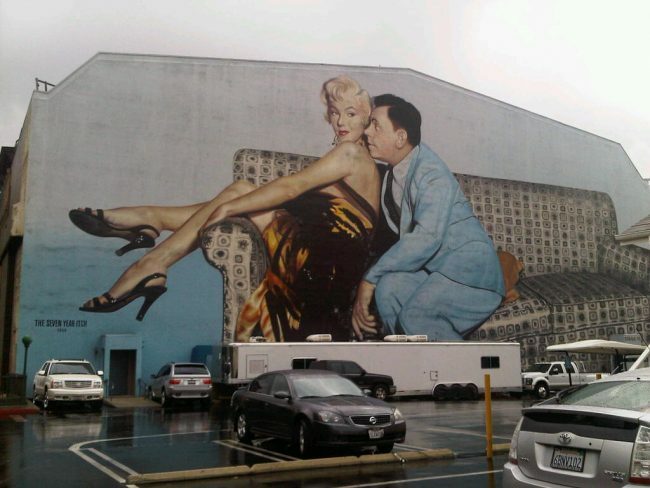 The Seven Year Itch will be screened at the Moxie Cinema in Springfield, Missouri in early December, NPR reports.